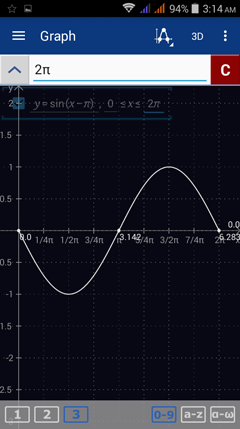 When we graph periodic trigonometric functions, we refer to the function's amplitude, period, phase shift and vertical shift. 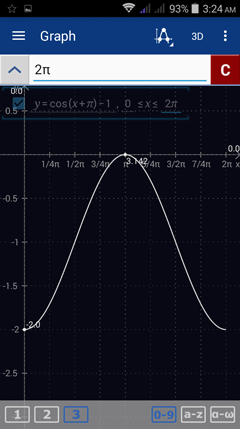 1) The amplitude a is the function's height from the center. 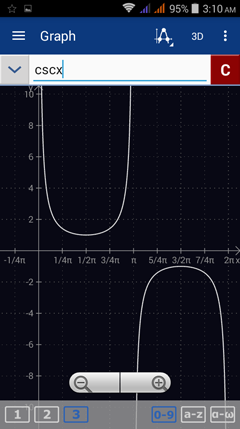 2) The period 2π/b is the distance between peaks. 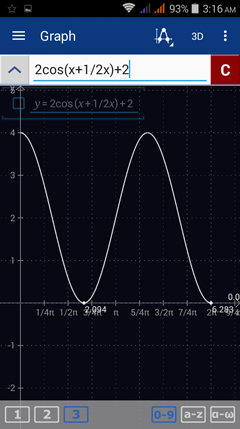 3) The phase shift -c/b is the function's horizontal displacement. 4) The vertical shift d is the function's vertical displacement. 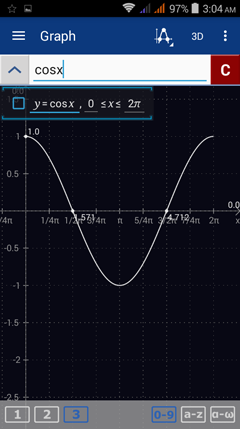 1) Go to the Menu in the top left and select Graph to enter Graph mode. 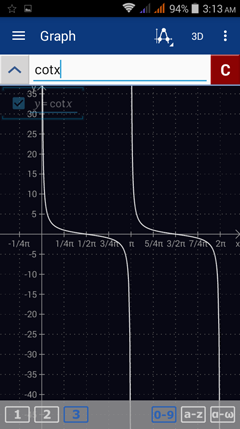 2) Go to Settings> Graph > x-axis scale type > select degrees or radians. 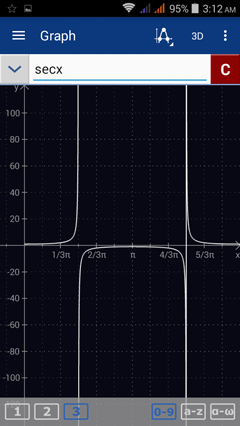 3) The y-axis scale type can be set to standard. 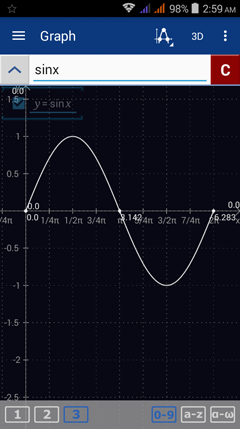 4) Type in the trigonometric function in the input field. 5) Set the applied domain from 0 to 360 degrees or from 0 to 2π radians. (Refer to section 11.2 on how to set the applied domain). 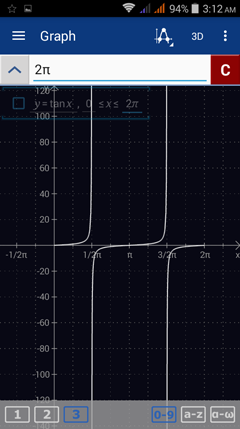 Note: if the x-axis scale is in degrees, the lower limit can be set but not the upper limit. The graph continues to infinity. Type secant by tapping cos three times. Type cosecant by tapping sin three times. 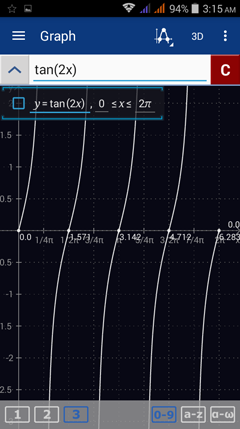 Type cotangent by tapping tan three times.